The hotel is only 20 – 30 minutes direct from Dublin Airport, there is complimentary high speed 100MB WiFi throughout the hotel. Click here for a map to the hotel. For directions to the hotel via taxi click here. For directions to the hotel from the airport using the Airport Express public transport click here. AMEC negotiated a special Summit room rate for all delegates from Saturday 9 June to Saturday 16 June. The Gibson Hotel is now fully booked on Wednesday 13 June and only has availability on Thursday 14, Friday 15 and Saturday 16 June. There is availability at The Clarion Hotel on 12, 13, 14, 15 and 16 June. 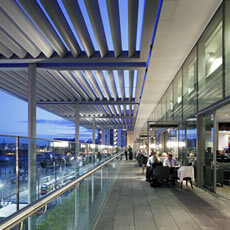 The Clarion is a five minute walk from The Gibson. As there is a major event taking place in the 02 Arena near the Gibson Hotel, we can only secure a small number of bedrooms for Saturday 16 June – so it will be first come, first served on the Gibson’s accommodation booking service. The good news is that these will still be at the special discounted Summit room rates. The room rates include full and continental buffet breakfast. Click here for information on each room type. AMEC is holding rooms at these rates dependent on hotel availability. There is limited availability so we advise you book your room as soon as possible. 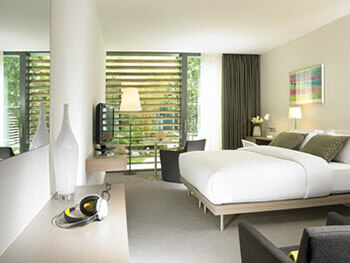 Simply click here which will take you to The Gibson accommodation booking service. Music lovers, art junkies, food fanatics…whatever your passion it’s right on your doorstep. From vibrant bars, restaurants, theatres and galleries to our new music Mecca, The O2, you can immerse yourself in Dublin’s culture in just a few short steps. 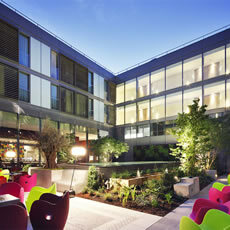 The hotel has the Hemidemisemiquaver Bar on the 3rd floor, the Terrace drinks and casual dining and the Coda Eatery. The gym has state-of-the-art equipment with cardiovascular equipment. It is accessible through 24/7 key card access for residents only and TVs on each piece of equipment keep you entertained.